Home to one-fifth of the world's population and heir to the richest civilization in history, China continues to exert a magnetic attraction on visitors. Archaeological treasures, architectural masterpieces, stunning natural beauty and the inexhaustible variety of its people make any visit to China an unforgettable experience.China has so many diverse regions that visitors often have difficulty in knowing where to begin. This guide helps narrow the options. As well as detailed descriptions of the larger cities, their environs and all the main tourist sites, there is a selection of suggested expeditions for the more adventurous, including the more remote provinces and several climbable mountains. Special sections examine such topics as Chinese opera, calligraphy and painting, and opportunities for seeing unique wildlife.This is the ninth edition. 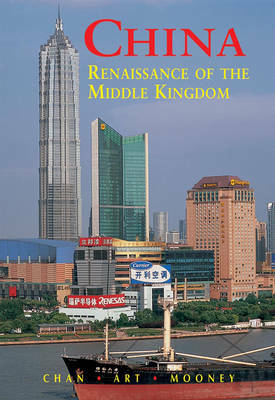 It provides a concise introduction to China 'then' and China 'now'. It now features World Heritage Sites: China's 35 top cultural and scenic treasures. This classic, strong seller is thoroughly redesigned and updated. It provides coverage on select remote regions as well as the most visited cities and sites. It covers The Great Wall and China's modern architectural wonders. It is beautifully illustrated. It is updated by resident writers and researchers. It provides a comprehensive list of websites for further research and reading.